Piroxicam 0.5% comes in the form of a gel. 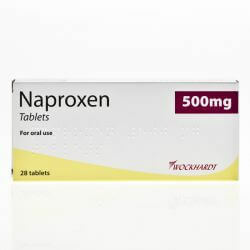 It belongs to a group of medicines called NSAIDs - non-steroidal anti-inflammatory drugs. Piroxicam helps to relive inflammation, pain and stiffness. It works by blocking the production of chemicals which the body produces in response to injury or certain diseases. These chemicals would otherwise go on to cause swelling and pain. 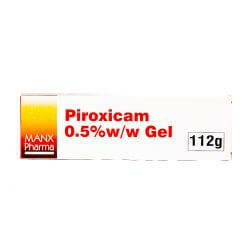 Piroxicam 0.5% Gel comes in tubes of 60g or 112g tubes. Piroxicam 0.5% 112g Gel should be kept out of sight and reach of children. It should be stored in its original packaging and should not be stored over 25 degrees Celsius. When using Piroxicam 0.5% 112g Gel, you should follow the instructions given to you by your doctor. Piroxicam is for external use only. 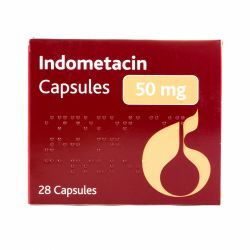 The ususal instructions given for treatment is to apply three or four times a day as required. Make sure to wash your hands before use. Only wash your hands after use if the treatment is not for your hands. Sqeeze about 3cm of the gel onto your finger and gently massage it onto the area around the injury. Repeat for each area needed. Do not use for more than 4 weeks. Speak to your doctor if you still have symptoms after this time. Do not use more than 25g of the gel in one day. If you use more than this, speak to your doctor or pharmacist. Applying large amount of the gel may increase the chance of side effects. If you forget to apply the gel, apply as soon as you remember. If it is near to your next application, skip the missed one and apply as normal. Do not double the amount to make up for the forgotten application. The active ingredient in this gel is Piroxicam 0.5% w/v. The other ingredients are propylene glycol, isopropyl alcohol, macrogol 7 glyceryl cocoate, hypromellose, sodium hydroxide, sodium metabisulphite, potassium dihydrogen phosphate and purified water. 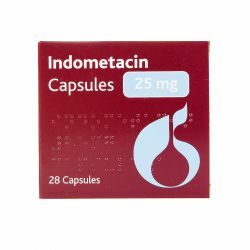 Piroxicam 0.5% 112g Gel should not be taken if you are allergic to any of the ingredients in the medicine, if you have asthma that is made worse by painkillers or if you have had an allergic reaction to any other anti-inflammatory painkillers. Keep the gel away from your eyes, nose or mouth. If you accidentally get some in these areas, wash it out immediately and contact your doctor. If you swallow any of the gel, contact your doctor immediately. Avoid contact with inflamed or broken skin. Do not apply any plasters, bandages or other topical medicines (creams/gels/ointments etc) on the area you have applied the gel to. This may affect how the gel works. Keep any treated areas out of the sun as the gel may make it sensitive to the sun. You should speak to your doctor before using Piroxicam if you have a history of serious allergic reactions, especially of the skin, if you have suffered a skin reaction before to piroxicam taken by mouth (tablets) or to other NSAID medicines or if you have liver or kidney problems. You should make sure to mention if you are taking any other medicines, including medicines obtained without a prescription especially if you take aspirin or other painkillers. If you are pregnant, think you might be pregnant or are breast-feeding, you should not use Piroxicam. As with all medicines, Piroxicam 0.5% Gel can cause side effects, although not everybody gets them. You should stop using Piroxicam immediately if you notice any signs of an allergic reaction or if you experience breathlessness or any rashes, bruising or blistering of the skin after using the gel. Other side effects include the skin becoming red, sore, itchy, painful, numb or tingly, getting itchy rashes caused by sunlight, feeling sick or getting an upset stomach.